SEACAMP San Diego offers a variety of Summer Camp programs and is for 5th graders through young adults. While our SEACAMP Jr. is a day camp program for students entering 5th and 6th grade in the upcoming fall, our residential/overnight summer camp programs are open to students entering 7th through 12th grade in the upcoming fall. These are designed as a progressive program; first attending SEACAMP I, then SEACAMP II and SEACAMP III. All of our labs and field activities build on what was learned and accomplished in the previous session. Some of our programs run consecutively giving students the opportunity to stay for multiple sessions. 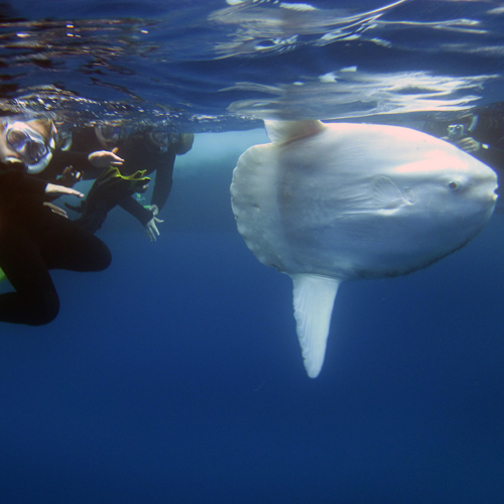 We also offer a SCUBA and snorkel program for young adults to Baja, Mexico during our SEACAMP IV program. Snorkeling is offered in all of our SEACAMP programs, but we offer an optional SCUBA Program for certified divers 14 years or older during our SEACAMP II & III programs. Marine science is a multi-disciplinary field and as a result SEACAMP instruction covers a wide variety of subjects including marine biology, marine ecology, physical oceanography, chemical oceanography, and geology. 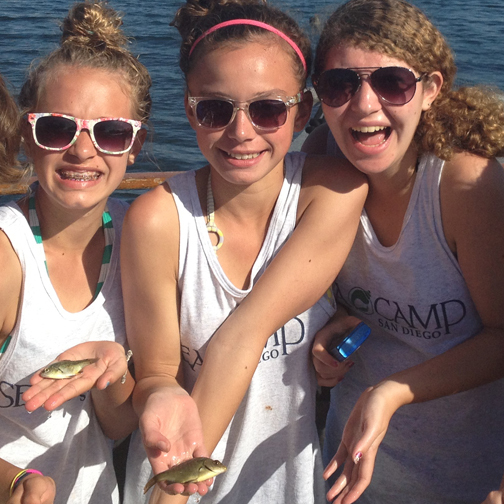 Our hands-on, outdoor education focus will provide your student with a unique Summer Camp experience! Please see individual program pages for detailed activities and sample schedule. Our overnight, residential Summer Camps are designed as a progressive program; first attending SEACAMP I, then SEACAMP II and SEACAMP III. All of our labs and field activities build on what was learned and accomplished in the previous session. Enrollment will be first come, first served and will require a $300.00 deposit payment to secure spot in desired program and session date. Our day camp program, SEACAMP Jr., is open to students entering 5th & 6th grade in the Fall 2019. Once enrollment is open, tuition payment will be required to secure spot in desired session. First time campers should look over our SEACAMP Jr. and SEACAMP I programs. As a progressive program SEACAMP II students are required to first attend SEACAMP I and our SEACAMP III students are required to first attend SEACAMP II. All of our SEACAMP II sessions have a SEACAMP I session prior for students who would like to stay for two sessions consecutively. Full tuition payment is due at enrollment. Tuition for SEACAMP Jr. includes all gear, equipment, supervision and transportation for activities. $300.00 deposit will be due at enrollment to secure spot in desired session. Balance will be due with the Registration Forms.Tuition for SEACAMP I, II & III includes housing, meals, admission to all attractions, gear, equipment, 24-hour supervision and transportation while in San Diego. As an added benefit to those who are attending back-to-back sessions of SEACAMP I and SEACAMP II or SEACAMP II & III, your tuition will include all intersession activities, supervision, housing, dinner and breakfast. Transportation to San Diego is not included in tuition. Students and families are responsible arranging travel. For students who travel as regular passengers arriving and departing inside our given windows of time, SEACAMP will provide complimentary airport pick-up and drop-off. $500.00 deposit is due at enrollment to secure spot, and balance is due with the Registration Forms. Tuition for SEACAMP IV – Baja includes housing, meals, all activities and all transportation in Mexico. Does not include flight to Mexico. 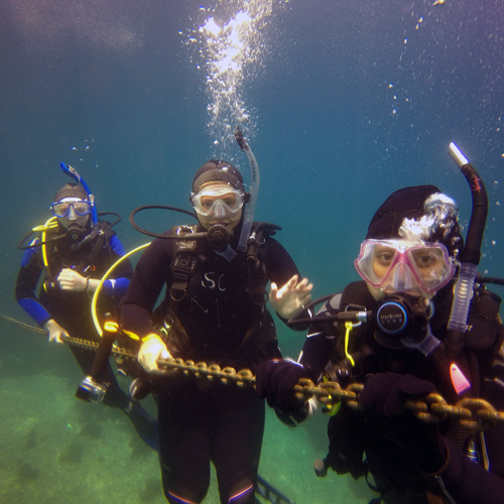 For students 14 years or older enrolled in the SEACAMP II and III sessions who are participating in the optional SCUBA Program, there is an additional $75.00 charge per session to rent regulators and buoyancy compensators (BC’s), if needed. SEACAMP San Diego is located on Mission Bay, approximately 10 miles north of downtown San Diego. Our marine science facility provides us with lab & workshop facilities that are tailored for the specific needs of our program and include a classroom with a running seawater system, a full aquarium room with touch tanks, a shark tank with live specimens, microscopes, and the added security of private beaches. Residential students will be housed in a traditional open style dorm, offering a fun, professional and secure environment. Males and females are housed in separate rooms with a female SEACAMP staff member in the girls’ room and a male SEACAMP staff member in the boys’ room. Dorms are separated by a courtyard area, which encloses a safe space to play games and hang out, and provides a sunlit outdoor area for the tables for meals or alternate lab space. There is also a private beach area for students to use during supervised free time. SEACAMP Marine Science Instructors are with the students 24 hours a day. SEACAMP San Diego Marine Science Instructors possess at least a college degree and are certified Red Cross Lifeguards with First Aid and CPR for the Professional Rescuer – including oxygen administration training and first aid for marine hazards. Additionally, all staff have been finger printed with the Department of Justice & FBI and all have Class-C commercial driver’s licenses. SEACAMP San Diego does not retain a nurse on staff, although we do have a paramedic consultant on call. We are within close proximity of emergency care and are in a 9-1-1 service area. 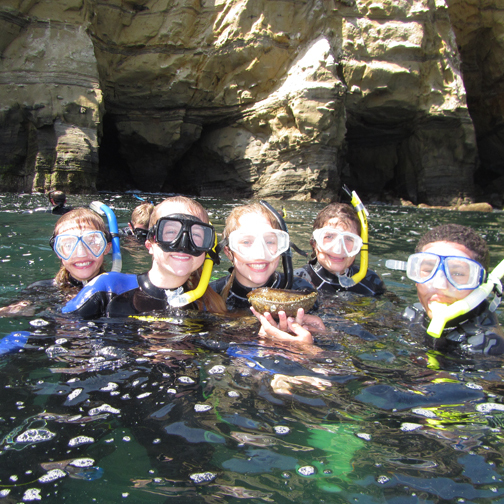 SEACAMP San Diego tuition includes 24-hour supervision of students. The amount of supervisory staff varies depending on the schedule. During snorkeling, there is one lifeguarded staff member with every seven students and staff will have a rescue tube with them. 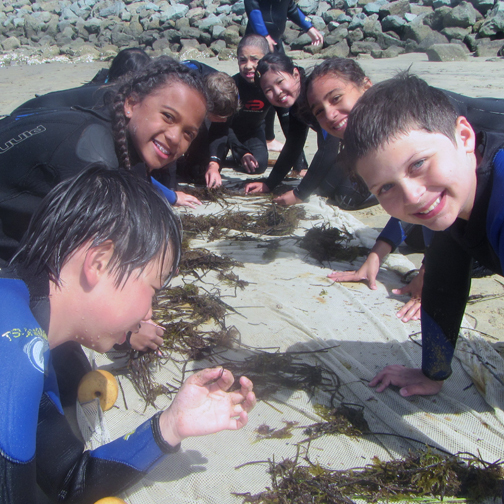 All water activities require students to wear full-length, 7mm wet suits (which makes them buoyant). The only exception is during kayaking and stand up paddle boarding when students will be wearing Coast Guard-approved PFDs (Personal Flotation Device – a ‘life jacket’). In the controlled environment of camp, evening activities will have 3 to 5 staff depending on the activity. During overnight programs we will have one female instructor in the dorm with the girls and the boy’s dorm will be staffed with one male instructor. The staff members with the group have access to a cell phone at all times. All SEACAMP San Diego’s programs are centrally located in the community within easy reach of full medical facilities, including emergency care. All facilities are easily accessible by car and ambulance in case of emergency and professional medical care is on call 24 hours a day. Additionally, SEACAMP San Diego Instructors possess at least a college degree and are certified Red Cross Lifeguards with First Aid, CPR for the Professional Rescuer and Oxygen Administration training. SEACAMP San Diego does not retain a nurse on staff, therefore we are not able to hold or administer prescription medications – with the exception of emergency medication (i.e. Epi Pen). For SEACAMP I, II & III transportation to and from San Diego must be arranged by student and family and it is not included in tuition. SEACAMP San Diego is located about 15 minutes from the San Diego Airport. Complimentary airport pick-up and drop-off is provided for students as long as they are traveling as regular passengers and arrive and depart inside our designated time frames. Throughout sessions students are transported to and from activities and the airport in 15 passenger vans. More specific travel information can be found in each program. While your student is here with us at SEACAMP San Diego, we are excited to give him or her an “unplugged” experience. Time away from the computer, TV, and cell phone means more time for learning, interacting, and being out in the field and on the water. This unique unplugged experience allows your student to truly engage with other students and all of the activities he or she will be participating in. SEACAMP staff has access to SEACAMP cell phones at all times for inter-staff and emergency use. SEACAMP San Diego Summer Camp Scholarship Program is available for SEACAMP Jr., SEACAMP I and SEACAMP II Summer Camp Program only. Scholarship application is required by the to be considered. Student must complete and submit application. Scholarships are awarded on the basis of financial need. However, priority is placed to those that submit their application in a timely manner. SEACAMP San Diego has limited scholarship funds and monies awarded will likely only cover part of SEACAMP tuition. Scholarship monies will be for SEACAMP tuition only, transportation to and from SEACAMP will be the students responsibility. Monies available for scholarships are based on enrollment and will not be known until May 1, 2019. We will let you know promptly, if you have been approved for a scholarship. However, the session date and how much monies received may not be shared until May 1. Student and parent/guardian must complete and submit application by either email to seacamp@seacamp.com or mail to PO Box 711310, San Diego, CA 92171. Applications are due by April 1 and monies are allocated by May 1. Please click button for Student Scholarship Application. We will let you know promptly if you have been approved for a scholarship. However, the session date and how much monies received may not be shared until May 1.